I (Nikki) don’t go on social media much. I’m not against it, I just find that I naturally don’t gravitate towards it. Hearing psychologist Rachel Cohen speak on a panel last week made me realise why. It just doesn’t have a positive impact on my life, and in fact I often feel worse after I’ve been ‘i-stuck’ in scrolling mode for a while (always longer than intended). Apparently this phenomenon is steeped in research! Rachel is writing a PhD on the relationship between social media and body image issues and has found that engaging in photo activities on Facebook (e.g. viewing friends photos or updating your own profile pic) is associated with concerns including greater “thin-ideal” internalisation, self-objectification, and body dissatisfaction, whilst viewing idealised appearance-focused content on Instagram (e.g. fitspiration accounts, celebrities like the Kardashians etc) is associated with poorer body image and disordered eating. In my experience, the negative effect of social media extends well beyond body appearance. We take out our phones on the way to work and are instantly flooded with images on our newsfeed. Our old highschool friend is on a holiday in Hawaii, the girl we went to uni with just had her second baby. Our ex-colleague just started his own company (which is booming), and the friend we made on exchange just got engaged to the woman of his dreams. By the time the train gets to Martin Place, we can’t help but feel a little flattened by our somewhat average life which doesn’t quite compare to the perfect ones that our ‘friends’ are leading (all 1000+ of them). So what can we do about it? The answer isn’t necessarily to cut out social media use altogether. Besides, there are plenty of positives that it has to offer; staying connected with friends and family across the globe, keeping up to date on world news and global issues, fostering business connections etc. 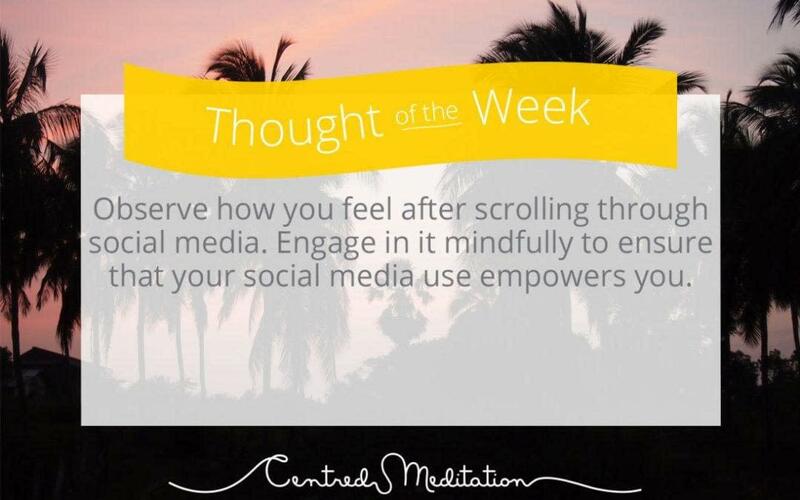 What we can do is consume social media mindfully. Take ownership of your feed. Observe how you currently feel after scrolling through social media. Then remember that you decide who you follow and what shows up on your feed so spend some time following/unfollowing/manually changing your settings to ensure your feed empowers you. Jump on board the new “BoPo” (body positivity) trend which has been shown to improve body image and mood. Check out @empowermeproject_ and @bodyposipanda for starters. Quit being a slave to your feed. Manage when and how often you scroll. Catch yourself mindlessly reaching for your phone when you are bored and opt for a few belly breaths instead. Always remember, your feed is not reality. On social media, people filter out their problems just as much as they filter out their pimples. In reality, everyone gets pimples and everyone has problems. We are all on our own journey and are faced with various challenges in life . So scroll with a pinch of salt! Work on yourself. Personally, no matter how hard I could try, every time I open up Facebook, my feed is always going to be inundated with photos of babies. So it is up to me to remain empowered throughout my fertility journey through meditation, mindfulness, and coaching. Similarly, you can embark on a self-discovery journey of what triggers you and why so that you can remain empowered no matter what shows up on your feed.